LOS ANGELES, Calif. /California Newswire/ — Calif. Gov. 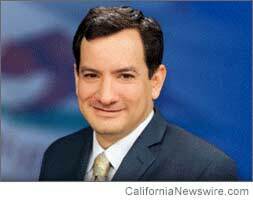 Jerry Brown today approved Assembly Bill 530, Assemblyman Anthony Rendon’s (D-Lakewood) proposal to create a comprehensive restoration plan for the Lower Los Angeles River. AB 530 establishes a local working group tasked with updating the L.A. River Master Plan to develop a revitalization plan for the Lower River. Substantial work has already been done to restore the Upper L.A. River within the boundaries of the City of Los Angeles. The Rivers and Mountains Conservancy will staff the working group, which will be eligible for state funding from Proposition 1, the 2014 water bond authored by Rendon.